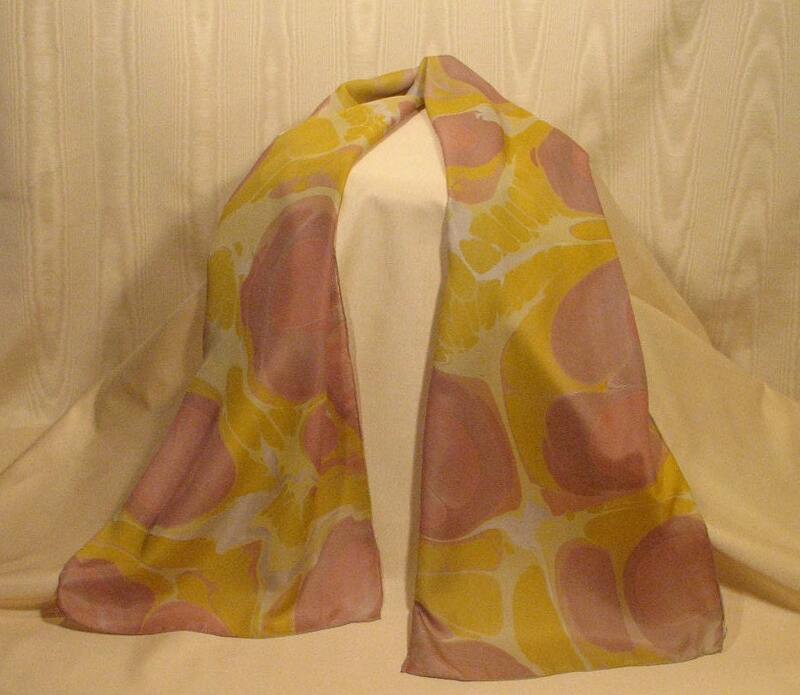 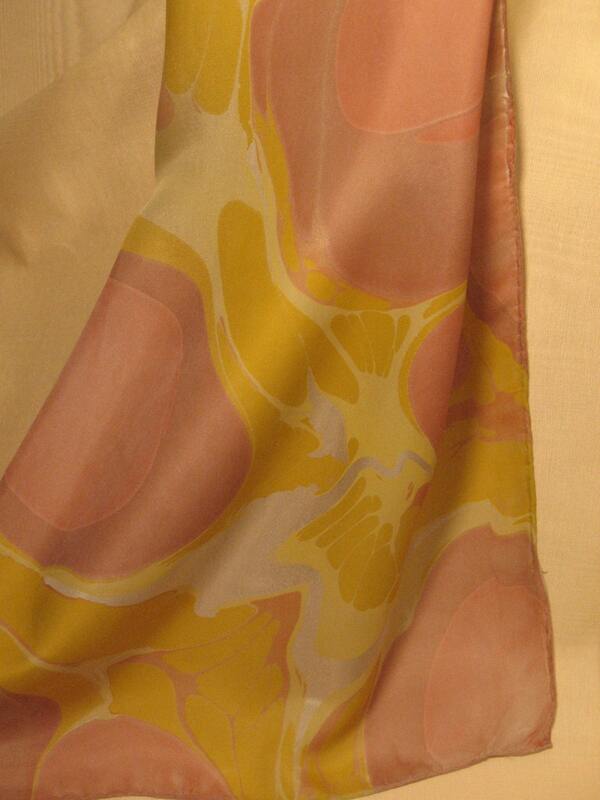 Silk Scarf Wine and Topaz Hand Marbled Long - Free Shipping in the USA! 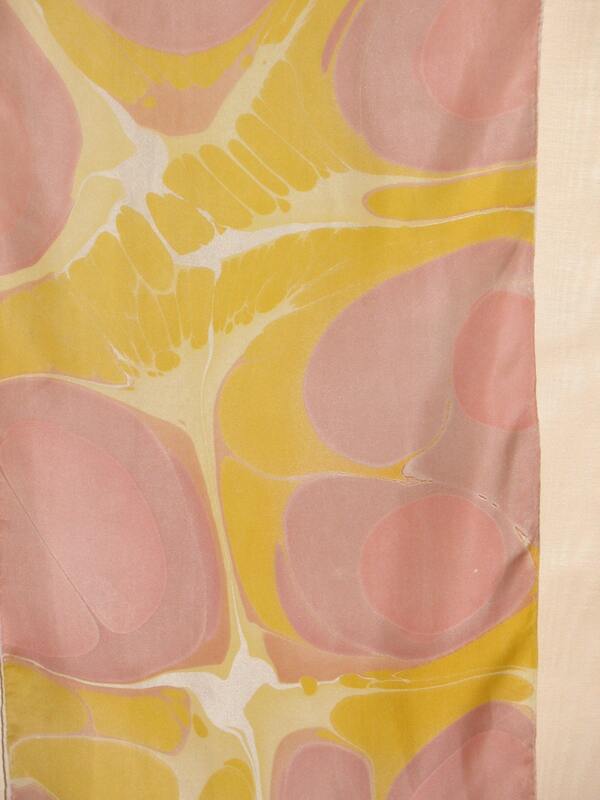 When I started Marbling this scarf, I applied the color preparing to manipulate it even more but I was so taken with the size and distribution of the wine colored pools that I decided to print it as is. 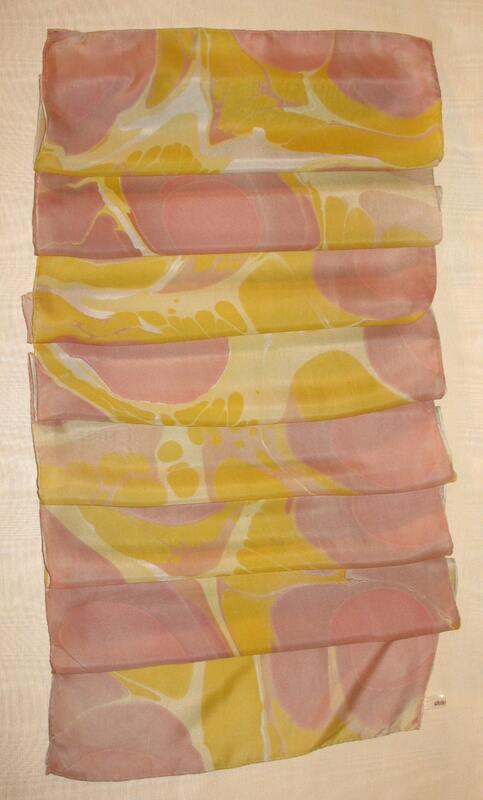 The result gives this scarf a dynamic appearance with accents of topaz and a dusty sage background.